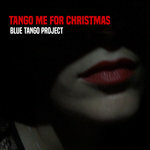 Includes all the album artwork lovingly prepared by Maria & Kevin for "Blue Tango" in a PDF-format booklet. Also includes the exclusive Blue Tango Paper Doll Kit (suitable for kids from 2 to 99 years of age). 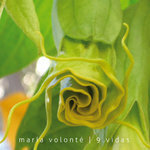 Get all 7 Maria Volonte releases available on Bandcamp and save 20%. Includes unlimited streaming via the free Bandcamp app, plus high-quality downloads of Tango y Otras Pasiones, Tango Me for Christmas, Blue Tango, 9 Vidas, Fuimos, Sudestada, and Yo soy Maria. , and , . 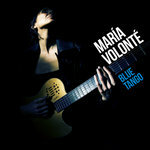 “Blue Tango, ” the new CD from Argentine Latin Grammy nominee María Volonté, is a collaboration with California harmonica player Kevin Carrel Footer. The CD is a ground-breaking musical project exploring the emotional and musical crossroads where tango and the blues embrace. This globe-trotting duo celebrates the deep spiritual bond that joins tango and the blues, as two musical genres born in desire and marginality, many times censored yet always resurgent and speaking directly to our hungry souls. When they play together, Maria’s voice and guitar fill the stage with echoes of tango’s forbidden pleasures while Kevin’s harmonica whines with the lament of the solitary blues soul. The project began at the San Francisco Jazz Festival in May 2008, when María and Kevin debuted new material and a new sound that they had been developing in Buenos Aires. Based on the success of that first show, the Blue Tango Tour was born and years of intense touring in North America, Latin America and Europe have followed. The duo’s adventures in places as diverse as Vancouver, Kosovo or Caracas have marked and nourished their music deeply. Their original songs reflect their embrace of the road as a way of life and their commitment to global music making as a spiritual experience. “Blue Tango” was produced by Laura Ros and Federico Gil Solá. Laura Ros: electric bass and background vocals on "Angelito del Campo", second guitar on "Blues del Río Lento"
Roberto Garcilazo: steel guitar on "Oh Viejo Tren"
Federico Gil Solá: drums on "Angelito del Campo" & "Blues del Río Lento"
Macarena Zorraquín: background vocals on "Mi Barco"